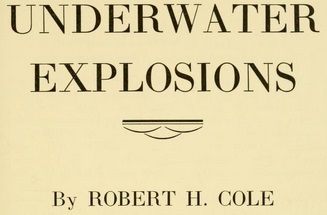 The physics of underwater explosion phenomena is fascinating. The bubbles formed from the explosions of percussion caps, to those formed by nuclear devices, show an oscillatory and migrating behaviour. I became aware of the unusual behaviour of explosion bubbles in the following video by Gyppor, "Shotgun primers detonating underwater, super slow motion study." The whole video is well worth watching, but if you skip to 4min 36s in, you can see the bubble formed, oscillating and being "attracted" to the floor of the tank.